Notes: The Coral Banded Shrimp is also know as Boxing Shrimp. It is white with brilliant red bands across its entire body, including the large pair of pinchers. 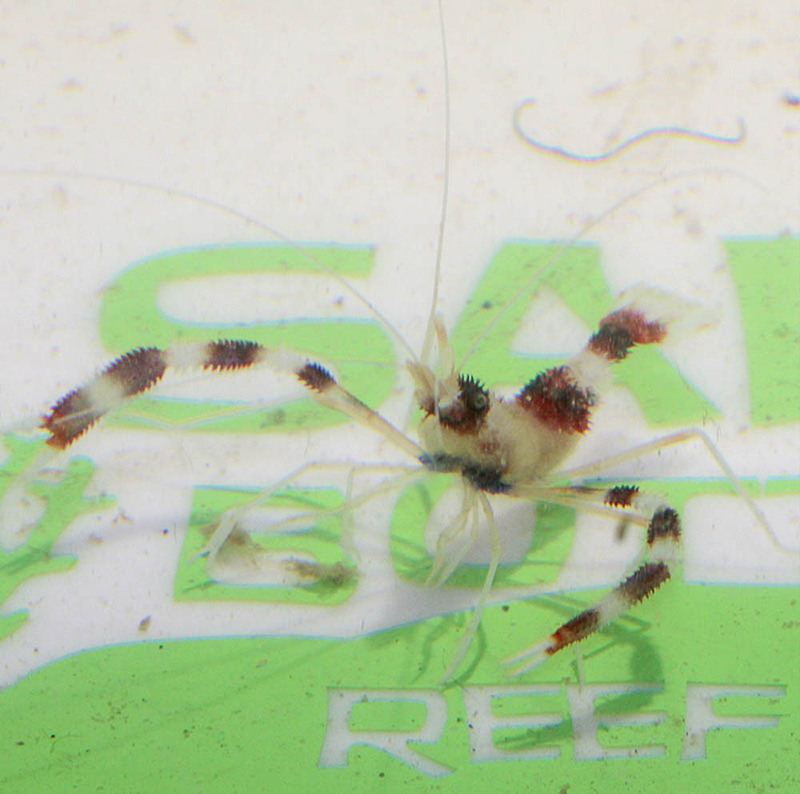 To be successful with the Coral Banded Shrimp it is recommended you keep your water in pristine shape as they can be sensitive to water quality. They prefer tanks with plenty of live rock to provide hiding places to search for prey. They will often shed their entire exoskeleton in a process called molting while they are growing. Often times they may lose their claws or legs during transit, but will grow them back when they molt. Overall, the Coral Banded Shrimp is a staple in the home aquarium for being very hardy, as well as its unique and beautiful appearance and ability to eat pesky bristle worms and flat worms. Coral Banded Shrimp arrived in good shape and on time. This company does a great job of communicating and providing appropriate shipping and documents for the sale. We will definitely be using this company again.